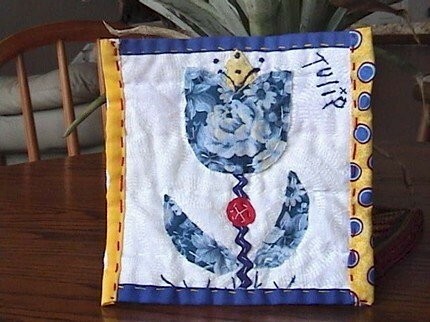 This is a cute little blue and white hand appliqued tulip that I made. 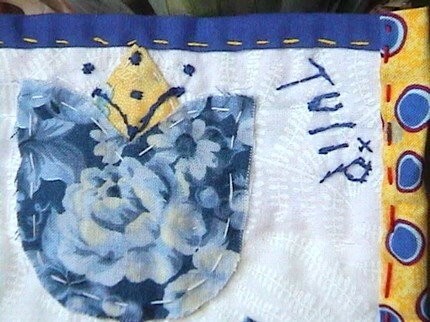 I have hand embroidered the word, tulip, onto the little quilt. 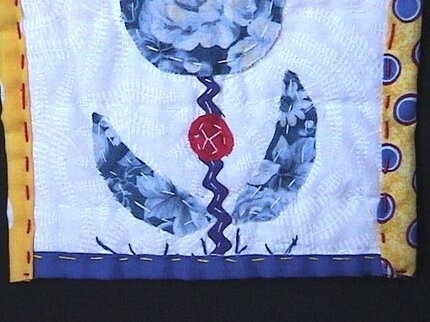 All of the quilting on this gem is done by hand. So sentimental. Treasure this one. 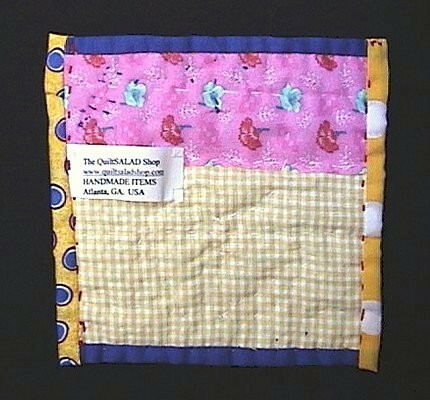 I can add a hanging sleeve FREE if desired. Let me know. 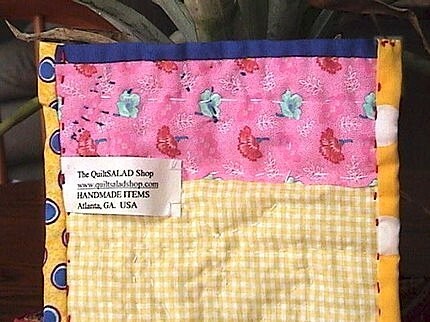 Made in the USA in Atlanta, Georgia by me.